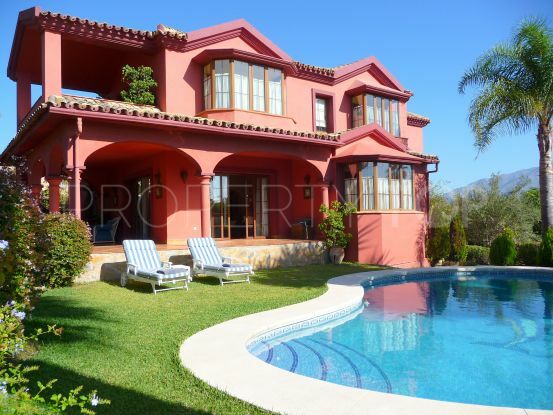 This large villa of 1.048m2 plot, is designed in the traditional Andalusian style, sold without furniture so it can be re decorated to the taste of the buyer. Outside you can see large outdoor living areas, a garage for two cars, the ample pool and garden areas where you can enjoy our long summer days. Its location is amazing, just in front of the golf course, which creates wonderful views of wide green fields. Although it seems that this far away from society, its really 2 kilometers from the city center, less than 10 minutes by car from the famous Puerto Banus and within walking distance of supermarkets, restaurants . Please, send me more information about ref KRE14781 in Guadalmina Alta, San Pedro de Alcantara or similar properties. 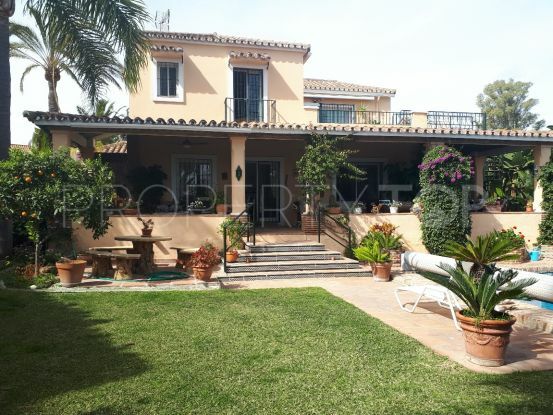 Need Advice buying this property for sale in Guadalmina Alta, San Pedro de Alcantara? Exchange rates used: 1€ = £0.86 according to the European Central Bank. Disclaimer This is a property advertisement (REF KRE14781) provided and maintained by Key Real Estate, C.C. 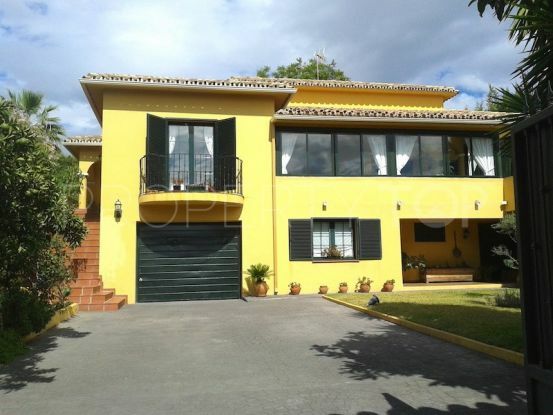 Mustang, Oficina 17 - CN 340 Km 167 29688 Estepona Málaga, and does not constitute property particulars. Whilst we require advertisers to act with best practice and provide accurate information, we can only publish advertisements in good faith and have not verified any claims or statements or inspected any of the properties. PropertyTop.com does not own or control and is not responsible for the properties, website content, products or services provided or promoted by third parties and makes no warranties or representations as to the accuracy, completeness, legality, performance or suitability of any of the foregoing. We therefore accept no liability arising from any reliance made by any reader or person to whom this information is made available to. Please, agree with following terms. I agree to receive business information, including by email. Rights: You can withdraw your consent at any time, as well as access, rectify, delete your data and other rights by contacting info@keyrealestates.com. Purposes: Respond to your requests and send you commercial information about products and services, including communications by email. Recipients: Cession of data are not planned.